Re: More Pizepi Joren Portraits! The only thing, the pic you posted feels like the background is on focus, while the girl is slightly out of focus. Or is it only my impression? Hahaha, OK. Well, that's a picture I'm going to download straight away and try to implement. 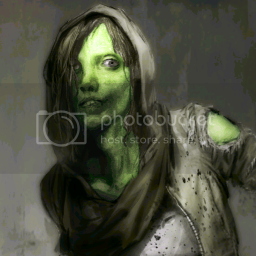 I used concept art from The Last of Us, and modified the skin tone, as required. Oh, Grave, that one's pretty great!